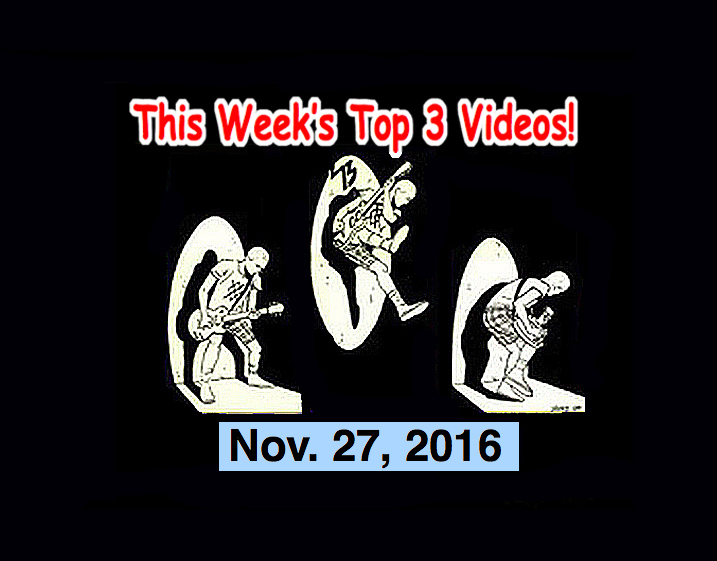 Top 3 Indies Artist Videos for Nov. 27, 2016! Flyying Colours! The Regrettes, The Future Babes, Twinkle Twinkles (Japan)! It’s time once again for the Top 3 Indies Artist Video Countdown. The Top 3 best Indies and Alternative Music artists for the week of Nov. 27, 2016! About Mike in Tokyo Rogers: Mike has been a professional music/TV/radio/anime-related program producer in Japan since the eighties. He began in the music business in 1977 as lead vocalist with the crappy but legendary Los Angeles Punk Band, “The Rotters” (Sit on My Face Stevie Nix.). As a university student, he was assistant to the legendary Rodney Bingenheimer (Rodney on the ROQ – KROQ Los Angeles from 1980 ~ 1981.) Mike was the first and only foreigner in Japanese history to become the General Manager of a major Japanese broadcasting station (TV Tokyo owned InterFM). Has produced a few smash hit programs and several of Japan’s highest rated and most famous radio programs. Recent Smash Hits were “The TV Show” (Set Program with “Ninja Slayer”) which, between April – Oct. 2015, garnered over 10 million viewers. He is currently producing and hosting “WTF?” the smash hit Sunday live show on InterFM 89.7 as well as Rakuten Power Morning everyday Mon. ~ Fri. 6 am ~ 10 am. His life’s dream is a motion picture which is near completion that he wrote and produced. The title is “Ghostroads – A Japanese Rock and Roll Ghost Story” which will be released by a major Japanese motion picture company and in theaters all across Japan in Oct. 2017. Oh, and Mike drinks too much. Top 3 Indies Artist Videos for Nov. 19, 2016! Garage Rockin’ Craze (Japan)! Spitfires! Orwells! Maddy Jane! It’s time once again for the Top 3 Indies Artist Video Countdown. The Top 3 best Indies and Alternative Music artists for the week of Nov. 19, 2016! SPOTLIGHT MUSIC (MOVIE TRAILER!) On our weekly countdown, I usually spotlight at least one cool Japanese rock band. Today I’d like to introduce a hot new film that’s coming out in Japan called, “Garage Rockin’ Craze.” Garage Rockin’ Craze is about the Garage Rock boom in Tokyo and how it all started. This iconic film was made by my friends Mario Cuzic and Bryce Clarke. They overcame mountains of troubles to finish this fab film. I am so proud of them! By the way, the film comes out in theaters in Japan on Jan. 14, 2017 and runs for two weeks until Jan. 27, 2017… Go see it! By the way, I was able to get a sneak preview and thought it was a an exciting film. The entire time I watched, I thought, “God! I wish I had been there!” Well done, Mario and Bryce!… By the way, when you gonna be a guest on my radio show so that I can brag to everyone that I really do know you? 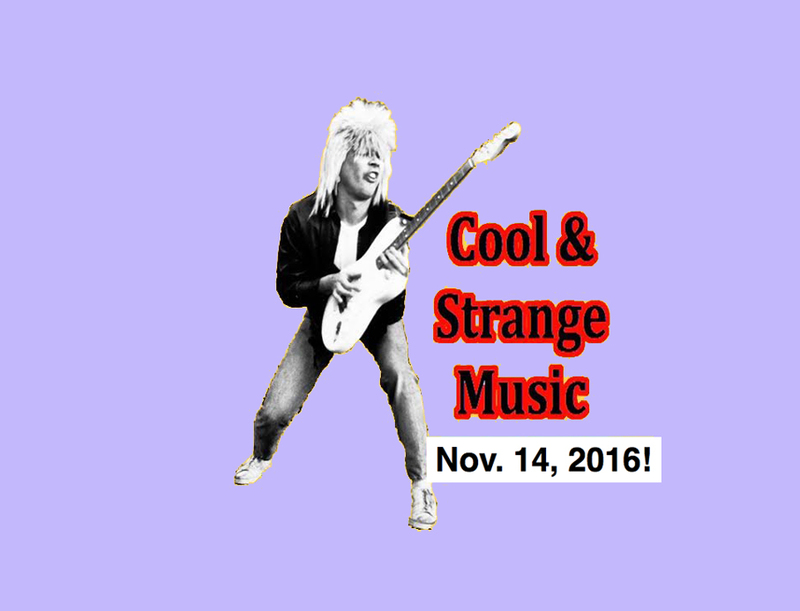 We’re back to Cool & Strange Music for Nov. 14, 2016! Starting us off is a guy who can be considered one of the greats of Cool & Strange Music. His name is Jean-Jacques Perrey. Jean-Jacques Perrey just passed away the other day on November 4, 2016. He lived to the ripe old age of 87. He was a French electronic music producer and was an early pioneer in the genre. He was a member of the electronic music duo Perrey and Kingsley. And, he put out one of best and craziest albums of the 60s with Gershon Kingsley as Perrey and Kingsley and the album was called, “The In Sound from Way Out.” When everyone else was trying to sound like the Beatles, Perrey and Kingsley were off to outer space. This is one tune from that album. People who have been to Disneyland and seen the electrical parade will recognize this song as it is the theme for the Disney Electrical Parade! Next up is another song that you folks might recognize. It is the theme song to the famous seventies British TV show Benny Hill. This song was performed by a guy named Boots Randolph and the actual title is “Yakety Sax.” This video is especially amusing because it takes some people dancing at a rave and sets it to the theme song of Bennie Hill. It’s hilarious! “Heywood Banks is simply one-of-a-kind, almost impossible to describe, with a style his very own. Equal parts genius and buffoon, this songwriter-comic-singer-poet-musician has become a cult hero and a pop icon, with a show that appeals to college students, stoners, businessmen, yuppies, rednecks, punks, kids or your grandmother. Heywood intersperses his humorous observations of life with twisted, inventive, bizarre songs, sung and played in a variety of styles, from folk, to country to rock to pop, and way beyond. You have to be pretty smart to get Heywood at his deepest level (he demands a high level of pop culture literacy), but you can also enjoy him just for his vocal style impersonations, expert musicianship and just plain silliness. But why trust our opinions? Click here and see for yourself.” Check the hilarious video below too… Yes. he’s playing a toaster! If you like this countdown, please come “Like” our Robot55 Facebook page (or friend us on Twitter or subscribe to our Youtube page). Thanks! Top 3 Indies Artist Videos for Nov. 12, 2016! Suzy Blu, Candy Ditches (Japan), RPMs, Seth Bogart! It’s time once again for the Top 3 Indies Artist Video Countdown. The Top 3 best Indies and Alternative Music artists for the week of Nov. 12, 2016!